Does Beverly Hills, California seem like a long way to go for lip enhancement? Not when the surgeon is Dr. Ben Talei, board certified and dual fellowship trained plastic surgeon. People from Hawaii and even as far as London trust Dr. Talei and his staff to provide the stellar results they are known for. Lip augmentation at the Beverly Hills Center is performed with only the best of dermal fillers. These newer types of fillers provide better results that last longer. Volume and contouring are controlled so that the change compliments your features. You can also expect to see less bruising and swelling with the filler products we use here. You can have more sensual, appealing lips and see the difference immediately. Call the Beverly Hills Center for a consultation. We will give you all the information you need to make the decision to enhance your smile with lip augmentation. The Beverly Hills Center is also known for providing lip lifts that leave no visible scarring. This simple and unique procedure is not one of the more common surgeries because, unless done with impeccable skill, unsightly scarring can occur. Dr. Talei is one of the few surgeons who has mastered the procedure and is able to perform it on old and young alike with no scarring. For people with thinner lips or those who wish to reverse the downward curve of their mouth, a lip lift may be the answer. 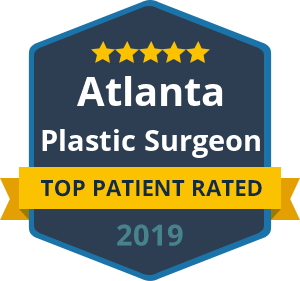 Having the procedure done by a doctor who is known for excellence and precision is going to give you the beautiful results you want. Contact the Beverly Hills Center for more information and find out if this procedure is for you. If it is, your face will look more appealing and youthful. Call us today.